This fall, we hear from two summer interns and their experiences at ABC News and USA Today. Also, Washington & Lee University (in Lexington, Va.) professors give tips to students. 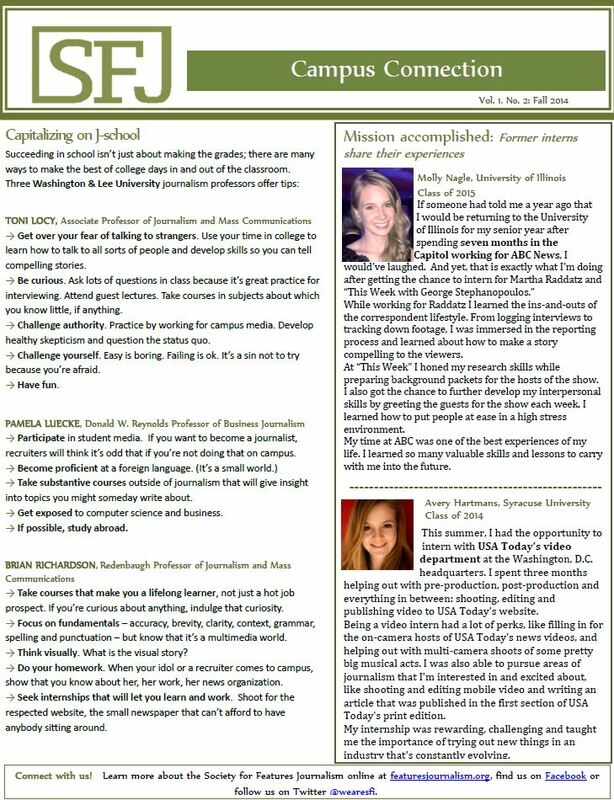 Our quarterly Campus Connection newsletter aims to connect college journalism students and professors with the features journalism society at large. If you have ideas for future newsletters, please like us on Facebook and leave a comment there. Thanks!